That’s Okamiden hero Chibiterasu, and he makes Pikachu look like a pee-stained pillow. Look at those chubby wubby feet. That itty bitty nosey nose. If you don’t like this puppy then there is no hope for you. 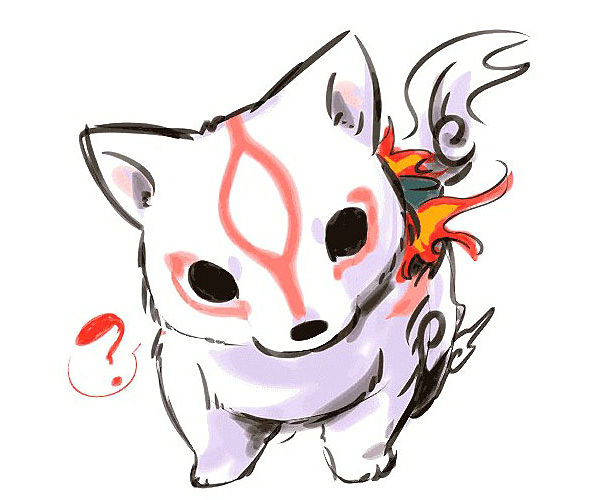 I bet if Okamiden turns out to be Nintendogs but with Chibiterasu, it’ll still sell a million copies.